You have probably heard of fluoride. It may be in your toothpaste, and if you are like most Americans, it is in your water. Your dentist may have suggested a fluoride treatment as a part of your regular preventive dentistry routine exam or after a professional cleaning. Fluoride is a naturally occurring mineral that can strengthen enamel and help teeth remineralize. The bacteria associated with caries, or dental decay, use the sugars found in the foods and drinks you enjoy every day for fuel and then produce an acidic waste product. This acid attacks the enamel on your teeth, weakening it and producing soft spots. Removing the plaque that harbors this bacteria is a good way to keep your teeth healthy and strong, but it may not be enough. That’s why our dentist recommends that you use fluoridated toothpaste. Fluoridated toothpaste allows you to clean and strengthen your teeth at once. Fluoridated mouth rinses are also available. These can help kill bacteria that remain in the mouth after brushing and flossing and further strengthen teeth and promote remineralization. If your teeth show any indications of enamel loss or sensitivity or you have a history of cavities, our dentist may recommend fluoride treatments to harden the enamel. 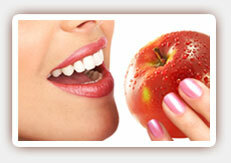 Fluoride may also be recommended after certain procedures, such as after a scaling and planing treatment or after Zoom! whitening to reduce the risk of sensitivity. If you drink bottled water, you may also benefit from a fluoride treatment. 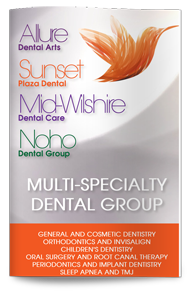 To schedule a routine dental exam or learn more about how you can have healthier, stronger teeth, contact our West Hollywood cosmetic dentist today.